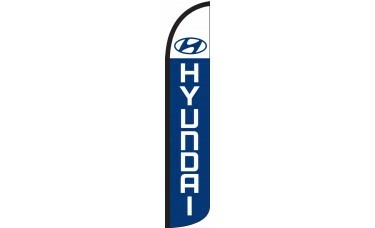 Our Hyundai Wind-Free Feather Flag features a white upper field with the Hyundai emblem printed in blue. Beneath that is a blue field with the Hyundai text emblazoned in white. 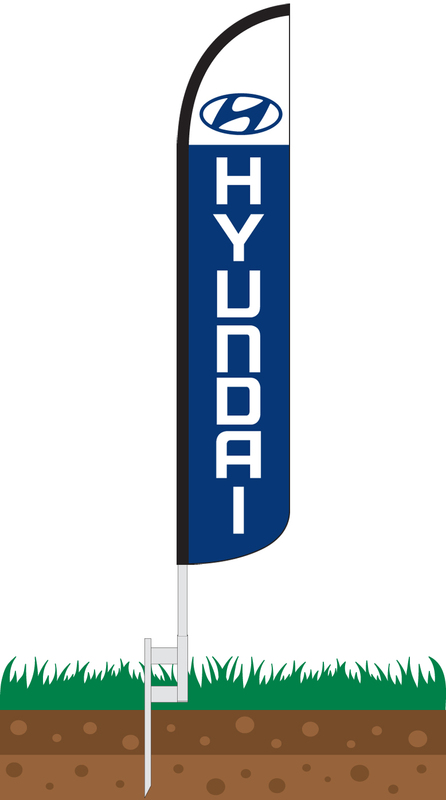 This flag is ideal for any Hyundai dealership looking to attract new customers.